Peterborough Golf and Country Club, a private members club, has a rich history within the community and the Kawartha region. Corporate Social Responsibility is the foundation upon which the Club has been built. Peterborough Golf and Country Club set a lasting example over a hundred years ago by recognizing the importance of giving back to the community in which we do business. 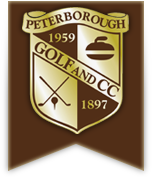 At the Peterborough Golf and Country Club, we are proud to continue the tradition. We have always been proactive leaders in our community and will continue to evolve and improve our programs and practices to address emerging technologies, Members needs, new global trends and local developments. Our Corporate Social Responsibility represents the integrity of the Peterborough Golf and Country Club and the way we have adapted our business practices to meet the needs of the ever-changing world, understanding that while we are a local Club, our position in the golf community has significant responsibilities.